Fried garlic onions in olive oil. Add my Secret curry blend of spices, Half a cup of water. And 1 pound of fresh spinach. 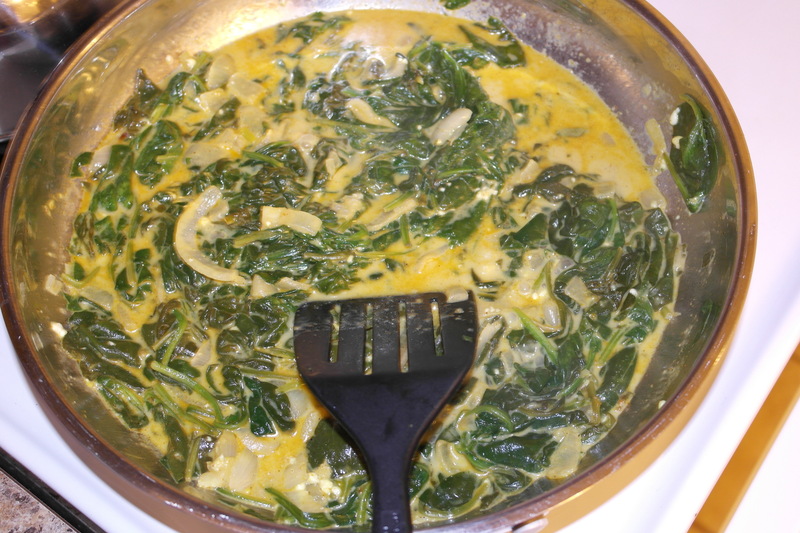 I placed the lid on and let the spinach steam little. 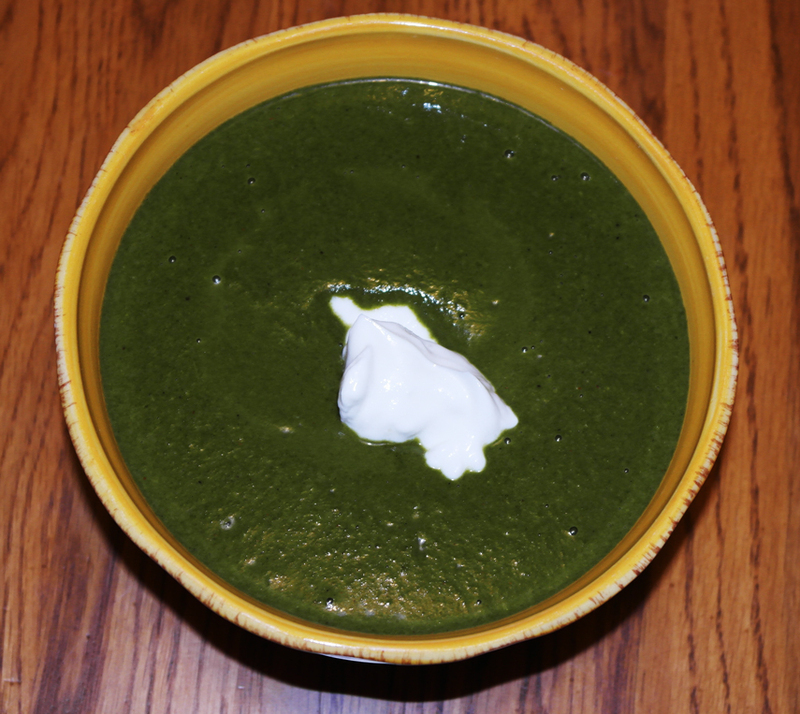 I then blended the spinach curry while it was still hot, then popped it in the bowl.